NEWS April 2, 2018: The SSI NIAC Team has just been selected for a Phase 2 grant for continuing support of the research and development of Mach Effect Gravitational Assist (MEGA) Drive project. See the announcement here! 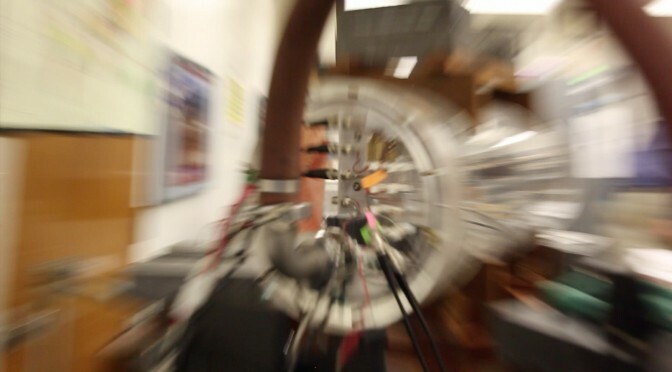 In 2013 The Space Studies Institute announced the start of the Exotic Propulsion Initiative, a daring and important project to explore and fund breakthrough propulsion opportunities at the very borderlands of physics. Much public and press excitement has been generated by the DARPA-funded “100 Year Starship” effort and the work on warp drive theory and concepts at NASA’s Johnson Space Center, and SSI has been hard at work to make sure that the momentum is not lost. In the first few years of the Initiative, SSI has raised thousands of dollars to support the work of Drs. 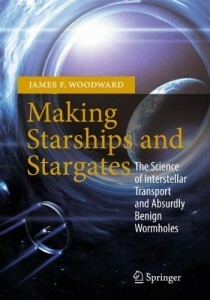 Jim Woodward and Heidi Fearn at the Woodward Lab at CalState Fullerton and Professor Woodward has donated major royalties from his book Making Starships and Stargates: The Science of Interstellar Transport and Absurdly Benign Wormholes (Springer Praxis Books / Space Exploration) to SSI to further support this project’s funding. And in September 2016 SSI presented The Breakthrough Propulsion Workshop in Estes Park, Colorado, hosting professional Scientists and Engineers from around the world for three days of presentations and discussion on the latest advances in EMDrive, Mach Effect and related technologies. ALL of the presentations from the 2016 Breakthrough Propulsion Workshop are now available for free on the SSI YouTube Channel and the Entire Unabridged proceedings – 337 pages – are available for FREE download from this SSI page. ALL of the presentations from the 2017 Advanced Propulsion Workshop held at The Aerospace Corporation are available for free on the SSI YouTube Channel and the videos and PDFs are FREE from this SSI.Org page. On March 30th 2018 Team SSI was selected for a Phase 2 grant for continuing support of the research and development of Mach Effect Gravitational Assist (MEGA) Drive project. See the announcement here! And see Professor Fearn introducing the NIAC project details in the video on this SSI page. This is real-world work on a very important program. If you truly want to see Humanity become a space-faring civilization then this technology needs your personal show of support. Please click the yellow button below right now and make a tax deductible contribution. Thank you Richard and we would sincerely appreciate that contribution. Just visit the SSI Join page ( http://ssi.org/join/ ) and scroll down until you see the yellow button labeled “Click here to support the Exotic Propulsion Initiative” and that will launch a secure connection to paypal. The exact paypal interface you see depends on the device and browser that you use to press the button but they all work the same way for the donation options… you just type in the amount you wish to contribute. Thank you!